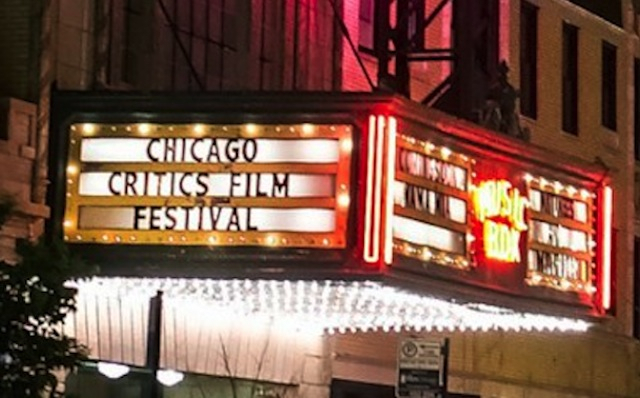 From short films to features to documentaries, there are film treats to savor at this year’s CCFF. One of the benefits of the festival is special appearances by the filmmakers and featured performers. HollywoodChicago.com breaks down all those meet-and-greets below, and includes one other additional festival highlight by day and date. FAST COLOR (7p) Special Appearances by lead actor Gugu Mbatha-Raw and writer/producer Jordan Horowitz. A woman (Mbatha-Raw) goes on the run to hide her superhuman abilities, but finds that home becomes her only option. To purchase tickets, click here. SUPPORT THE GIRLS (9:30p). A SXSW favorite, about a Den Motherish general manager (Regina Hall) at “Double Whammies,” a sports bar of a particular genre (“with curves”). Despite her efforts, the reality of such a venue controls the course of a long, strange day. To purchase tickets, click here. BODIED (7p) Special Appearance by director Joseph Kahn. Intriguing premise, a satire set in the world of competitive battle rap. As an accidental participant begins the climb to the top, he risks alienating everyone he knows. To purchase tickets, click here. BEAST (Midnight). The late night offering is a murder-and-life mystery, as a 27-year-old woman named Moll falls in love and breaks away from her family at the same time, only to have her lover accused of serial murders. To purchase tickets, click here. CCFF SHORTS PROGRAM #1 (2:30p) Special Appearances by Clare Cooney (director of RUNNER) and Tony Grayson (Lead/Writer ALLEN ANDERS). One of two short films programs (PROGRAM #2 is at 5:15p, May 7th) is . To purchase tickets, click here. DAMSEL (7:15p). Special Appearances by co-directors David and Nathan Zellener. Blurring the lines between hero, villain and damsel, this pioneer-era American Frontier story is an off-kilter story that goes in many directions. To purchase tickets, click here. FIRST REFORMED (7:15p) Special Appearance by director Paul Schrader. Legendary writer/director Paul Schrader (TAXI DRIVER, AMERICAN GIGOLO) explores a dying Dutch Reform church, outdone by a mega-church, which is challenged when a pregnant women (Amanda Seyfried) asks for counsel from the clegyman (Ethan Hawke). To purchase tickets, click here. HAL (9:45p) One of the most influential filmmakers of the American New Wave of the 1970s, Hal Ashby, is being rediscovered in this documentary. To purchase tickets, click here. SEARCHING (7:15p) Special Appearance by director Aneesh Chaganty. This thriller unfolds entirely on computer screens… with John Cho and Debra Messing. To purchase tickets, click here. ON CHESIL BEACH (9:45p) Two virgins (Saoirse Ronan and Billy Howle) are married very young in the summer of 1962, and must reconcile their wedding night fears as the consummation approaches. To purchase tickets, click here. PUZZLE (7pm) Special Appearance by director Marc Turteltaub. A suburban mother (an always fab Kelly Macdonald) has a passion for solving jigsaw puzzles… which leads to another unexpected realm. To purchase tickets, click here. A KID LIKE JAKE (5pm) A couple has always known their four-year-old son prefers fairy princesses to toy cars. But when a preschool advisor tells them it might be more than a phase, their roles come into question. Featuring Claire Danes and Jim Parsons. To purchase tickets, click here. EIGHTH GRADE (8:30p) Special Appearance by director Bo Burnham. It’s been a disastrous eighth grade year for 13-year-old Kayla, but she must endure the last week before heading to high school. To purchase tickets, click here. 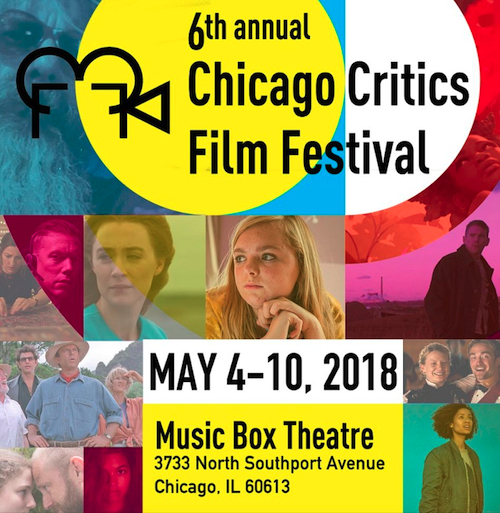 The 6th Chicago Critics Film Festival takes place from Thursday, May 4th through Thursday, May 10th, 2018, at the Music Box Theatre, 3733 North Southport, Chicago. For the CCFF website, click here.